How many times have we heard this Bible quote? Seems sometimes it’s quoted more than “OMG!” oh, if that was true! What does it mean to judge anyway? Does it mean to condemn a person as being unfit to be a Christian because of his/her life style, character or sin? Does it mean to appraise a person, situation or action as to worth and quality? Really? Oh boy! We can start condemning everybody and everything in sight! Those sinners better drop down in their tracks and repent at the very sight of us…finally, we will get the respect we deserve…hmmm should I wear my cloak and pendants when I condemn them all to hell? Hold on a second Knight Errant! The wise Knight and Lady seeks wisdom and this means always looking a little deeper into a thing than most do…King Soloman (whose temple we protected and many shed blood defending) said to seek wisdom over everything. Wisdom cries in the streets! Why did Soloman put it that way? Because wisdom is ignored, even when it cries in the streets and is will to give itself to everyone and anyone who wants and seeks it. Okay, what is the wisdom here then concerning judging? You just said I could judge if I was a spiritual man/lady…right? Yes, I did say that…hang with me here! Sorry, I never did learn patience too well…still working at it! Think you can remember both those words? Yep, they’re the same word. The same word but, with very different roots and meanings in the original language…do I get an ahhhh Hahhh? Someone uses this to justify themselves mostly or to defend themselves from an attack from “church going” folks. They call us “religious” for lack of a better word. So, this Bible verse is normally used to defend a person who feels like they are being condemned and you know what? Very short and direct sentence and in modern English our minds usually go to the condemnation mode where sinners and their sin can be brought into the sunlight and be exposed before all mankind and maybe we can have them lashed in the town square and then hung. We have to go back to the original Greek for New Testament words and Hebrew for Old Testament words to find what a particular word really means. The word, “judge” as in “Judge not, lest ye be judged” means condemn and is a very strict type judgment as in casting out a person into prison or even hell. The other word, “judge” means more of an appraisal or inspection such as in, “The spiritual man judges (appraises) all things. So, we have two separate types of judging and both are correct and as we go through life we should be aware of which we are using. Are we appraising everything as to worth and quality, yet mindful we are not condemning our fellow man in a way where we put ourselves above them. This is worse than whatever sin we are condemning them for…it is the sin of self-righteousness and should never be counted among us brethren. Appraise things as to the worth, usefulness and value but leave the condemnation and rejection alone and allow God to be God…He will not allow another to sit in His Judgment Seat so, go take a seat in the lobby please. If He needs you to sit in for Him, He will call you. What does this idea of defending those who cannot defend themselves mean? We Templars have this sense of protecting the weak and those less fortunate than we, from that element in the world which would kill and destroy them. In the physical dimension we use physical force and tangible means such as raising funds for orphanages and stopping slavery etc. This is what we should do and if necessary we use force if it means saving an innocent victim from an attacker. There is only one source of spiritual weapons at our disposal and this source is our God and Savior and His provision of safety for our minds, bodies, spirits and souls. If you have ever tripped and stumbled on a cobble stone or concrete road you know how it stings but it isn’t a mortal wound…you continue on bloodied and bruised but otherwise fine. I had a wound like this just over a year ago while I worked under houses inspecting for termites. I had a little abrasion on my left ankle from crawling on my belly like a reptile in crawl spaces…and it started to get a bit red one day and then my leg swelled up and I went in to see my happy Veteran’s outpatient Doc. They went me to Biloxi several days later for tests and I barely made it back…both legs ballooned twice their normal size. I couldn’t walk for a month and thought I might die. It was a tiny wound! The problem was there are also tiny enemies all around us waiting to take advantage of a breach so they can rush in and destroy us. We need antibiotics for our spiritual lives as well. The Great physician and our Lord has a vast and never ending supply of antibiotics for whatever ails us. Each day we have breaches in our defenses…gaps in our armor where Satan and his minions pry and hammer their way into our spiritual lives where they can infect and destroy our health and happiness. WE must call upon the Lord Jesus Christ and trust in His’ antibiotic which is His’ Blood and His’ name! No other name brothers can save us and those we minister to as true knights. It’s not our strength, courage or good looks (whew, thanks goodness for that) which gives us victory…opposite, if anything! WE must confess our weakness, in order to receive His’ strength…our sinfulness, to receive His’ righteousness…our confusion, to receive His’ direction! “If we say we have no sin then we make Him to be a liar…” Apostle John said that…so, we must have sin in us and so we need our Savior moment by moment, day by day and always. Do we portray ourselves as GREAT KNIGHTS OF FAITH, SO STRONG AND RIGHTEOUS NO ONE CAN EQUAL OUE HOLY DEEDS? Be careful, how you answer that because we do this sometimes unconsciously…it’s easy to fall into this and even con ourselves. 1 Let others speak well of our works, not ourselves. …those in peril…spiritual and physical, in speedily and in our right minds. Our Spiritual swords, shields and armor provide prayer for those who need intercession, encouragement to our brothers and sisters who have weak times and need a spiritual uplifting and direct our eyes upward towards Heaven and our God, from whom all blessings flow! Brother Harry…those in peril…spiritual and physical, in speedily and in our right minds. Brother Harryed…those in peril…spiritual and physical, in speedily and in our right minds. Brother HarryBottom of Form2 Rely ONLY upon Christ Jesus our Lord and HIS’ righteousness and HIS’ mercy in saving us and empowering us as His’ knights…not just a Knight Errant, flailing around looking for glory. 3 Spread the Word of salvation to all those in need of HOPE, LOVE and FAITH in this miserable world. Romans Chapter 1 Verse 16 For I am not ashamed of the gospel of Christ: for it is the power of God unto salvation to every one that believeth; to the Jew first, and also to the Greek. As Knights Templar we serve a God who is ever with us today as He was with our predecessors when they first decided to protect the innocent pilgrims who were getting slaughtered for the little bit of scrap they might have on their persons. The road to Jerusalem has always been filled with blood of the innocents and even today we see those who would slaughter anyone who would go to the Cross of Christ which also was in Jerusalem. What is this “Gospel” and how can it be the “POWER OF GOD UNTO SALVATION”? Want POWER in your life? Apply the preaching of the cross and the gospel of Christ to permeate and live richly in your life…everyday! Remember God is the Savior not us…we are only the messengers so, relax and watch God save people by hearing the Word of God…our offensive weapon is the WORD of GOD…use it! How do we do this on a daily basis? Talk about it! Sounds simple enough, right? Well, some people will go their whole lives and not discuss the Bible and especially the Cross of the Lord Jesus Christ! Sad isn’t it! Find someone who is also interested in a real Christian life and get with them and talk about Jesus and the Bible and the Power of God in Him….then you will begin to feel the POWER of GOD in your daily life. When you hear someone ask a question, such as, “why did God take away my job?” or “ Why am I destined to be lonely?” This is an opportunity to talk about the Cross of Christ and how God loved us so much He decided to make a way for EVERY person to come back to Him. This way is the Cross and the shedding of blood of one person only…the Lord Jesus Himself! Read the Bible and share what you learn with someone who also reads the Word…this way we are like two swords sharpening each other by discussing what we read and trying out different ideas of what this might mean or how this applies in a certain situation. Does this mean everyone who doesn’t go to church is not saved? NO! That is not what God said was the POWER now is it? Does that mean someone who is not a believer right now will NEVER go to Heaven? No! We don’t know what the future holds and God knows how to save those who are far off! Does that mean our loved ones who have died are lost because we never heard them testify? No! WE don’t know what goes on inside of a person and the reasons they are silent on certain things…bottom line we are not to “judge” whether a person is in Heaven or not…we are NOT allowed to judge in that way. We will be surprised who we see in Heaven! We are allowed to judge in a way of appraisal though and we should always look at things and judge if they are positive, joyful, helpful and that sort of thing. Like a jeweler in a ring shop can look at a gold ring and “judge’ what the value of the ring is…we can appraise things like this…even people , we can appraise whether or not we want our children to be around certain things and certain people…such as an Adult Video Store…why in the world would we want our children to be exposed to something like that…that’s right, or ourselves! The Gospel of Christ is not just a Catholic thing…not just a Protestant thing…no one owns a copy write or patent on it….so, go use it freely! Freely you hve been given …freely give! Neither has more sway in our lives or more prestige…both are important and they are like two oars in a life guard’s dory…if we only row with one, we end up going in circles, getting dizzy and looking like dunces in capes. With both oars plying the water in unison, balance and rhythm, we get to those in need…ed…those in peril…spiritual and physical, in speedily and in our right minds. With both oars plying the water in unison, balance and rhythm, we get to those in need…those in peril…spiritual and physical, in speedily and in our right minds. Our windows have to be cleaned often because of the world we live in or we see things in a distorted view. Cleaning our soul’s windows require faith , strength and a touch of will power. The touch of will power is exercising our gaze until it becomes a habit. Just like muscle building or martial arts…at first the exorcises are tedious and hurt and we fall on our face and it hurts like the dickens. then the more we practice the easier it gets and we find we are doing the training unconsciously and without thought. Why would we want to be like every other man/lady on earth? Why would we no want to be different? We are different! 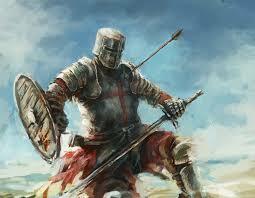 We are Knights Templar! Next time, when a lady/man ( not a lady-man (lol) but a lady or man walks by or you see one passing…the first look is free…the next will cost you! Look away before the next look! I am not totally innocent on this myself, and I strive and struggle to practice my turning away….but, sometimes I win and I’ve found people are more friendly when they don’t feel intimidated by my eyes! So, open the window and let some fresh air disinfect that mold growing in our soul! Clean up our windows and enjoy God’s creation….also, don’t tell anyone I said this…Cleaner windows give us those first looks a pure clean scene of beautiful Ladies and handsome men…as it should be! On the 7th day God rested…on the 3rd Day Christ rose from the Grave and began a new work…YOU! Warfare in the spirit is much like fleshly war except our enemy can become completely invisible. We are warned to be on alert because our adversary, the devil, is like a roaring lion, travelling the earth, seeking who he may devour. Demons can masquerade as angels of light. Not everything that seems innocent or alluring is of God. Many souls have been eaten by this predator and many more bare the scars of his teeth and claws. Everyone…EVERYONE! Yes, everyone has inherited a fallen nature from Adam and through this nature we inherit weaknesses. Some of these weaknesses drive us to delve into the Occult, others drive us into adultery and fornication (which actually means worshiping other gods). By doing these things we pick up forces that intend to destroy our happiness, worship and self worth. We cannot fight them on our own, cannot defend ourselves in our own power and cannot discern whether they are good or bad in our own intellect. This is why we have the weapons of the spirit. When we get so deep into he battle, we lose sight of our fellow soldiers and fall out of rank…not so sure we need to gather with other believers…not excited about the Bible…definitely NOT going to that church filled with nothing but hypocrites! Bahhhh! Gag me with a cauldron! We know, deep inside , something is wrong but we get so confused we begin fighting our own side and taking sides with the enemy. So what do we do to combat these dark forces? Be sure to say, “by the power of the Blood and by The Name of The lord Jesus Christ! This is our strength and shows we are not fighting by ourselves but allowing our GOD to fight the battle. Do not just say, “Jesus”…there are many people by that name…always have been…The LORD….JESUS….CHRIST! The BLOOD of THE LORD JESUS CHRIST! “The LORD commands you to leave” We are nothing but we have EVERYTHING to stand against the evil one. It is the full name of Christ that sends the demons fleeing…. Lord….He is Lord of All! God Almighty! Savior! Redeemer! Jesus…He is Jesus born of a Virgin…born in the form of man but without the fallen nature of man…Jesus died for the whole world and especially for those who call on His name. Christ…Messiah, who was prophesied and fulfilled the Law for us who could never fulfill the Law…Christ is He who sits at the right seat of God! When we look at Christ, we see GOD! He shows us mortal what God acts like, loves like and saves like! THE LORD JESUS CHRIST! This is the NAME were we all can be saved, for eternity and in time of attack! Verbally do these commands and watch your life clear up and you will see the Standard flying high, upon the hill of Calvary…see the demons flee at the Word of God….see healing within souls, who have given up on life and themselves. Yes! We should feed the hungry…clothes the naked…heal the wounded! But we must also free them of spiritual hunger, nakedness and wounds too deep and invisible to see with our fleshly eyes. Generational curses are merely demonic forces taking advantage of a weakness in our family heritages and DNA even. Use these weapons…share these tactics…watch peoples lives light up with hope, peace and faith. And they overcame him by the blood of the Lamb, and by the word of their testimony; andthey loved not their lives unto the death. The universe is constant in its entirety but within it there are changes. Nebulae expand and comets blast into planets causing drastic changes to the atmosphere and surface. In our lives we have changes also…lost loved ones…relationships explode!…our moods can change! We must accept this mortal place, where we live. Our flesh is subject to attack and our souls and spirits can suffer from unseen battles. We are encouraged by the Word to fight on…in season and out of season. We do not look to things we can only see with our mortal eyes but look unto the Lord and His’ victories within us…He will never allow us to be defeated in the ultimate war. Look to the heavens…for our redemption draweth nigh! Templar Church chooses to ordain our Ministers with the title “REVERENT” The reason we chose this is because we try and remain true to Scripture and God will not share His’ glory with anyone but Himself. This may sound strange these days, but we must always be vigilant to study and show ourselves approved, rightly handling the Word of God! Our ordained ministers REVERENCE God’s name, as we all should…so we call them REVERENT! Good stewards are responsible to keep the things the Master entrusts to them. We pray we do this as closely as we know how. Go forward our Knights and Ladies from Truth to Truth and not look back or to the angry waves in life…be as true to the Word as you know how to be and don’t worry about getting every jot and tittle correct for we have an Advocate, Jesus Christ our Lord! In the same manner we need spiritual defense for ourselves and for others. Where does this come from…. They sent me to Biloxi several days later for tests and I barely made it back…both legs ballooned twice their normal size. 2 Rely ONLY upon Christ Jesus our Lord and HIS’ righteousness and HIS’ mercy in saving us and empowering us as His’ knights…not just a Knight Errant, flailing around looking for glory. 13 Wherefore take unto you the whole armor of God, which ye may be able to withstand in the evil day, and having done all, to stand. Romans Chapter 1 Verse 16 – For I am not ashamed of the gospel of Christ: for it is the power of God unto salvation to every one that believeth; to the Jew first, and also to the Greek. 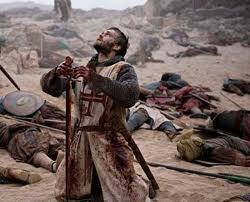 As Knights Templar we serve a God who is ever with us today as He was with our predecessors when they first decided to protect the innocent pilgrims who were getting slaughtered for the little bit of scrap they might have on their persons. The road to Jerusalem has always been filled with blood of the innocents and even today we see those who would slaughter anyone who would go to the Cross of Christ which also was in Jerusalem. Now, the Cross is eternal and the symbol of the one and only sacrifice our God made for man and woman to enter into His fellowship forever. The New Jerusalem is in Heaven and we know from scripture it will descend one day and the nations will travel in and out of it and worship God day and night. Revelation Chapter 21 – The Gospel of Christ! What is this “Gospel” and how can it be the “POWER OF GOD UNTO SALVATION”? The Gospel of Christ is also called, “The preaching of the cross”…also called the “power of God!” 1. 1 Corinthians 1:18 For the preaching of the cross is to them that perish foolishness; but unto us which are saved it is the power of God. Want POWER in your life? Apply the preaching of the cross and the gospel of Christ to permeate and live richly in your life…everyday! Remember God is the Savior not us…we are only the messengers so, relax and watch God save people by hearing the Word of God…our offensive weapon is the WORD of GOD…use it! How do we do this on a daily basis? 1. Talk about it! Sounds simple enough, right? Well, some people will go their whole lives and not discuss the Bible and especially the Cross of the Lord Jesus Christ! Sad isn’t it! Find someone who is also interested in a real Christian life and get with them and talk about Jesus and the Bible and the Power of God in Him….then you will begin to feel the POWER of GOD in your daily life. 2. When you hear someone ask a question, such as, “why did God take away my job?” or “ Why am I destined to be lonely?” This is an opportunity to talk about the Cross of Christ and how God loved us so much He decided to make a way for EVERY person to come back to Him. This way is the Cross and the shedding of blood of one person only…the Lord Jesus Himself! 3. Read the Bible and share what you learn with someone who also reads the Word…this way we are like two swords sharpening each other by discussing what we read and trying out different ideas of what this might mean or how this applies in a certain situation. 4. Place the Word of God on your personal things like Face Book pages, bumper stickers (choose some tasteful ones please! Not something that looks like the wrath of hell has already come!) Does this mean everyone who doesn’t go to church is not saved? NO! That is not what God said was the POWER now is it? Does that mean someone who is not a believer right now will NEVER go to Heaven? No! We don’t know what the future holds and God knows how to save those who are far off! Does that mean our loved ones who have died are lost because we never heard them testify? No! WE don’t know what goes on inside of a person and the reasons they are silent on certain things…bottom line we are not to “judge” whether a person is in Heaven or not…we are NOT allowed to judge in that way. We will be surprised who we see in Heaven! We are allowed to judge in a way of appraisal though and we should always look at things and judge if they are positive, joyful, helpful and that sort of thing. Like a jeweler in a ring shop can look at a gold ring and “judge’ what the value of the ring is…we can appraise things like this…even people , we can appraise whether or not we want our children to be around certain things and certain people…such as an Adult Video Store…why in the world would we want our children to be exposed to something like that…that’s right, or ourselves! The Gospel of Christ is not just a Catholic thing…not just a Protestant thing…no one owns a copy write or patent on it….so, go use it freely! Freely you hve been given …freely give!